I just got the news that the New Horizons space probe has passed by some remote planet on the edge of the solar system. 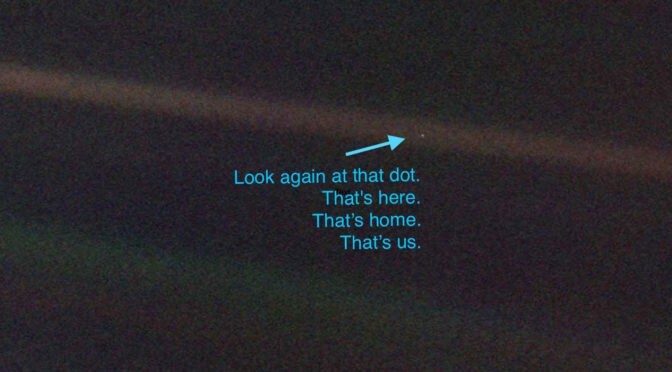 I was surprised that the guy from NASA says that it might take 24 months from us to get the photo of that planet. The solar system is not that big, right? It is slow because the signal transmission is slow, right? But why is the transmission so slow? New Horizons has just passed the Kuiper Belt Object (KBO) 2014 MU69 also known as Ultima Thule. KBOs form a belt of asteroids (the Kuiper Belt) from Neptune's orbit outwards and of which Pluto is the largest member of the Belt. During the encounter with Ultima Thule, all of the 7 instruments on New Horizons were gathering data (although not all at the same time) and the total data collected is expected to be about 50 gigabits of data (compared to 55 gigabits of data taken during the Pluto encounter in 2015). After the initial data download, they expect to perform some analysis to see which images have the best data with 2014 MU69 in the frame. Given the uncertainty in the position of 2014 MU69 and the high speed of the encounter, they had to shoot strips of images and not all will contain the target. These data will be prioritized in the downlink so they arrive on the ground first and can be analyzed first. As mentioned by @luis-g there is also the Solar conjunction which will cause a 5 day period (according to PI Alan Stern in the 2019 Jan 3 press briefing) when reception of the data won't be possible. We would expect this to re-occur in January 2020 but these approx. 10 days don't make a large difference to the time taken which is dominated by the weakness of the received signal after the 15W transmission travels the ~4 billion miles and falls off due to the inverse square law, the corresponding low bitrate allowed by the need to have the transmitted data decodeable and the amount of data to transfer. The other answer mentions it, but this gives a bit more theory as to the why. It's effectively for the same reason that your phone or Wi-Fi don't work as well and slow down when that they are far from the hotspot or cannot get a clear line of access to the cell tower, more commonly known as having "few bars": the signal gets weaker and as a result the signal-to-noise ratio (SNR) goes down. This means that the error rate - failure to successfully transmit a bit and have it received correctly at the sender - goes up, because there is a greater probability that some fluctuation, like other sources of radio waves such as the stars and astrophysical phenomena, or even thermal fluctuation within the receiving devices themselves, can be taken as representing data. As a result, to ensure that the bits successfully make it through, they have to be transmitted for a longer time so that they can be more clearly distinguished over that noisy background and won't be spuriously flipped. The poorer the SNR, the longer you need to transmit to make it clear. Another way to say it is that when you have a noisy background, and you turn on the transmitter, it creates a statistical bias in the noise fluctuations as its transmissions become superimposed upon them, e.g. putting a sinusoidal variation on top. At very low levels, this statistical bias is very small and thus requires a long sampling time to collect enough data to tease it out with high probability and since you don't know what data is coming at you by definition, you want the thing you're trying to tease to be as predictable as possible over the teasing time, and thus you must be sending only a single specific type of signal over that time and not switching between bits, limiting the bit rate to exactly that time. A mathematical theorem called the Shannon-Hartley Theorem analyses this precisely and gives the exact bounds on just how fast you can transmit data and still have it reliably heard over a given level of noise relative to the strength of the transmitting signal. For an understanding of the spatial scales involved here and thus exactly what one is up against: your phone has to deal with a cell tower maybe 10 km away ... but here the probes are easily over 6000 Gm away (that's 6000 billion meters and so 600 million times further), and naturally we need a very large antenna, and because of the concerns just mentioned, the transmission rate is limited to, as said, about 1 kbit/s, taking a full millisecond for every bit transmitted, versus your phone at several Mbit/s or more. To downlink an uncompressed 8-bit (greyscale) 640x480 picture at that rate of 1 kbit/s takes 640*480*8/1000 ~ 2500 s or 2.5 ks (kiloseconds). A 4K UHD image would take 3840*2160*8/1000 ~ 66 ks to downlink, or the better part of a day (86.4 ks). Compare that to your broadband domestic Internet connection where streaming 4K video (up to 60 frames per second so four million times faster) comes down with ease. (ADD NOTE: as mentioned in the comments, this last comparison may not be entirely accurate as there is also a significant amount of (lossy) compression on "real" 4K streams, or any Internet video streams for that matter, which is unacceptable for high-fidelity scientific data that can at best use purely lossless compression only so as not to introduce unnecessary errors. This is also one of the reasons that Martian exploration would be significantly aided by, and it has been proposed to use, telepresence robotics controlled from a human base near, but in orbit of, the planet. ADD: More accurately, the distance to 2014 MU69 is around 6600 Gm. On top of the slow data transmission rate (explained in astrosnapper's answer), I think it is worth pointing out that New Horizons will enter solar conjunction next week, meaning that we won't be able to receive any transmissions from it due to the Sun blocking them. I don't know how many times this will happen over those 24 months, but it is an additional reason for the long(er) wait. 1. 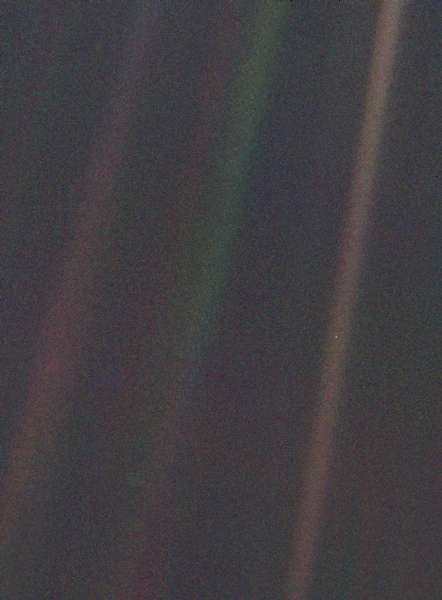 New Horizons is really far away from the Earth. 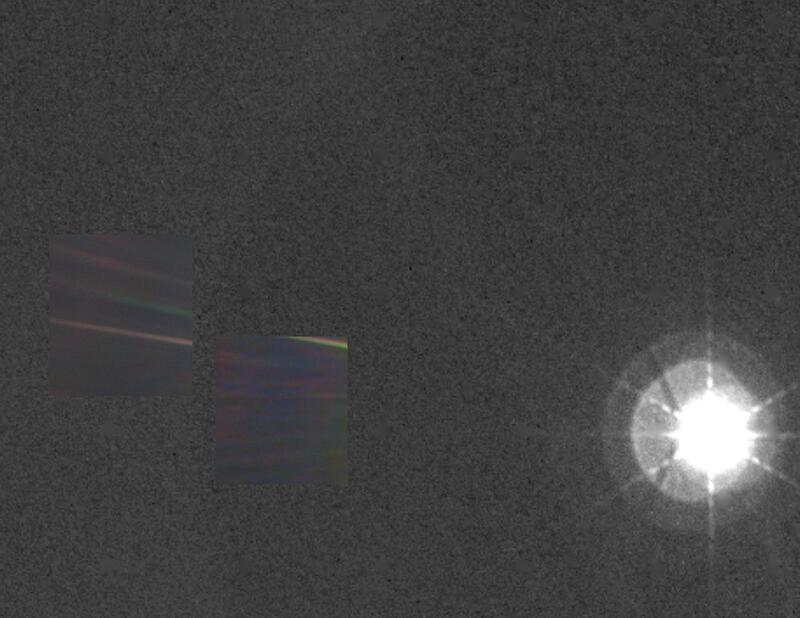 At the moment of closest approach, New Horizons was over 6,600,000,000 kilometers away from Earth. This is about 6 light-hours. And the spacecraft is continuing to get farther by about 14 kilometres per second. 2. Transmissions from farther away are weaker. The inverse square law states that the intensity of things like radio signals and sources of light (energy per unit of area perpendicular to the source) is inversely proportional to the square of the distance. That means doubling the distance results in us receiving only a quarter of the energy. 3. New Horizons only has so much power to work with. 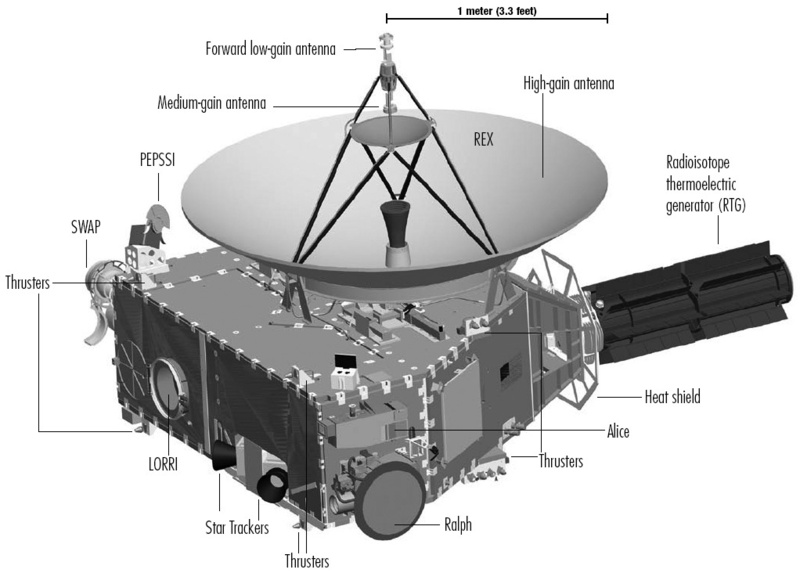 The spacecraft is powered by a single RTG (radioisotope thermoelectric generator) that contains ~11 kg of Plutonium-238. At launch, this produced 245 watts (at 30 volts of direct current) of power, but due to radioactive decay, this decreased to 200 watts by the time of the July 2015 Pluto flyby, and further to 190 watts by the time of the January 2019 MU69 flyby. There are actually two TWTAs for redundancy; one with left-hand circular polarization, and one with right-hand circular polarization. After launch, they figured out a trick to use both TWTAs at the same time, which increased the data transfer rate by 1.9 times. They used this two-TWTA mode to get all the data back from the Pluto flyby more quickly. 4. There's a limit how sensitive the antennas on Earth can be. 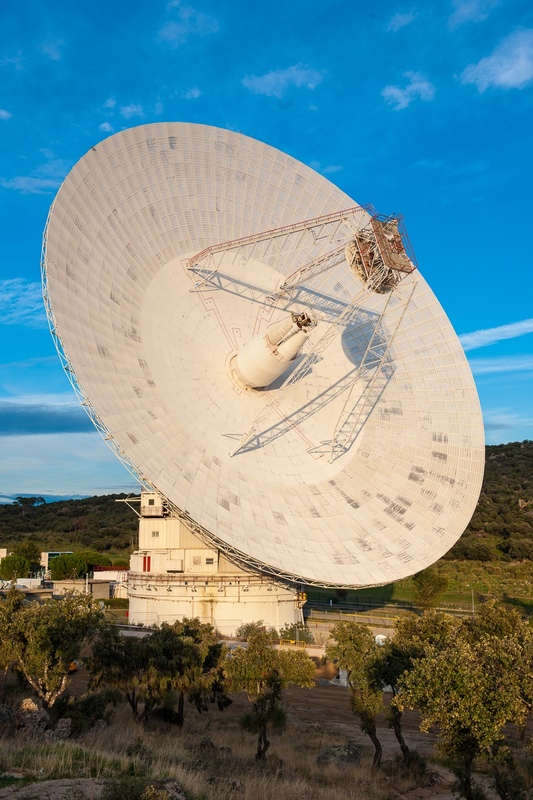 Even though we listen for New Horizon's transmissions using enormous 70-meter dish antennas from the Deep Space Network, there comes a point where it starts getting difficult to discern the signal amongst a sea of white noise and other interference, because the signal is so weak. Here's the 70-meter dish from Madrid. It's hard to do much better than this. 5. So, the downlink speed has to be restricted because of the very weak signal. As elaborated upon in The_Sympathizer's answer, the signal-to-noise ratio gets lower when the signal gets fainter, and so you have to transmit data more slowly in order to make sure that the data you receive is correct. 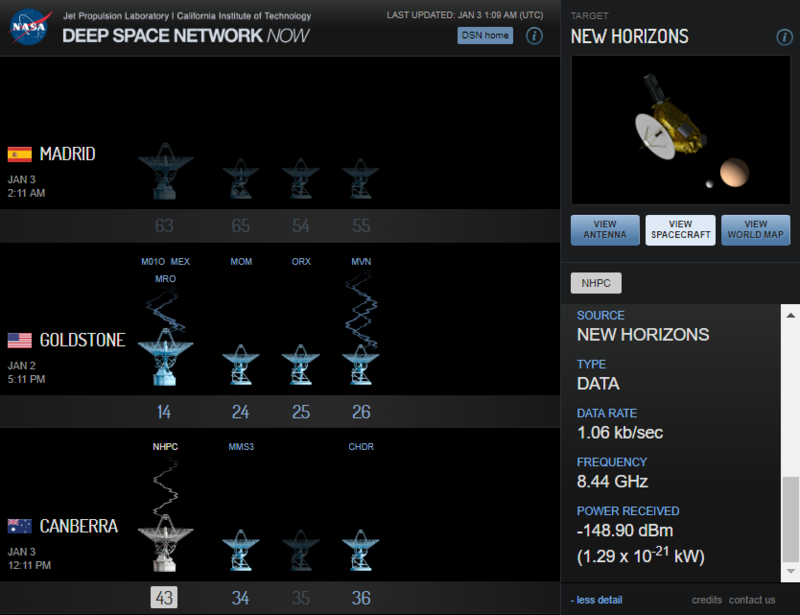 As you can see, the signal that this dish is receiving from New Horizons is only 1.29E-18 W in strength. That's 1.29 attowatts. That's extremely weak. So, as a result of the faint signal, it looks like the people at NASA decided to restrict the downlink rate at about 1000 bits per second (125 bytes per second), as an optimal balance between data integrity and downlink speed. As a point of comparison, the https://google.ca homepage (when you're not logged in) comes out to about 1 MB. So, if you tried to open the Google homepage at the speed of the New Horizons downlink, it'd take over 2 hours for the page to fully load. 6. There is a lot of data. New Horizons was busy during the flyby. It collected about 50 gigabits of data (6 GB). So at 1,000 bits per second, on-and-off (the solar conjunction that Luis G. pointed out will also briefly delay the data transfer), it'll take about 20 months for the full set of the Ultima flyby data to be sent back to Earth. During the Pluto flyby in July 2015, downlink speed was at about 2,000 bits per second, and it took about 15 months to download all 55 gigabits (7 GB) of Pluto data. During the Jupiter flyby in February 2007, downlink speed was at about 38,000 bits per second. Further reading: Here's an interesting related question: How to calculate data rate of Voyager 1? Not the answer you're looking for? Browse other questions tagged solar-system data-analysis nasa or ask your own question. Which observatories help NASA find 5 new asteroids per day? Is there likely other significant objects we haven’t discovered in the solar system? Will there be public access to the New Horizons data from Ultima Thule? What is the solar system orientation to its direction of travel?